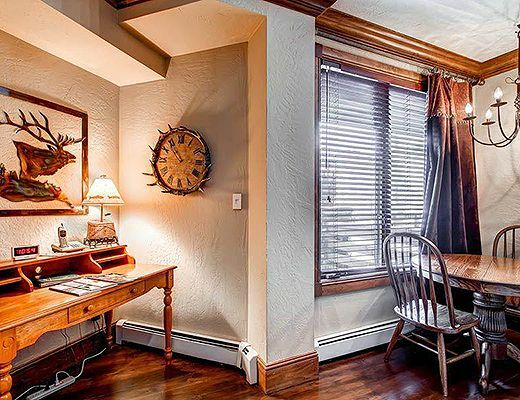 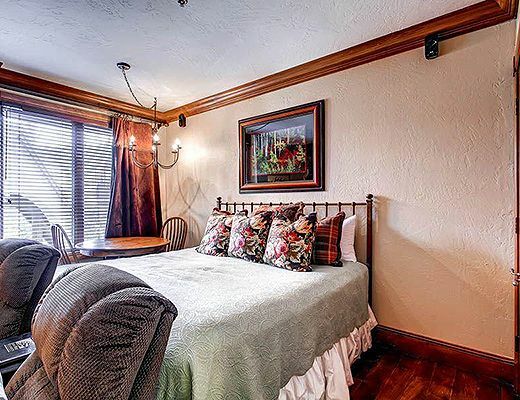 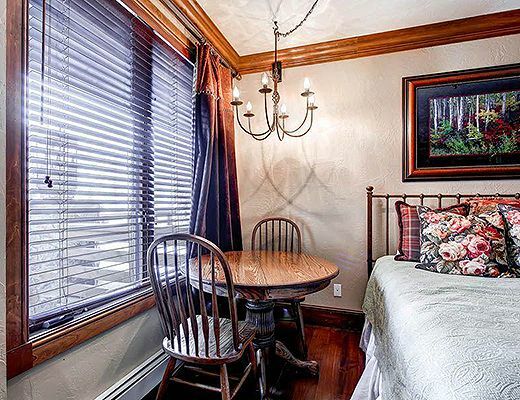 This cozy second floor studio is has everything you need in an efficient 550 square feet. 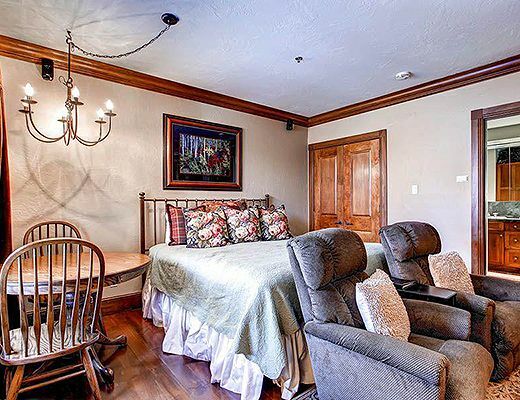 A king sized-bed sits to one end of the room, leaving room for a small dining space and two comfortable chairs in front of the fireplace. 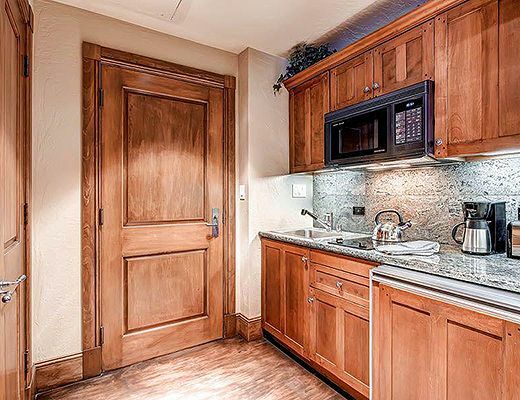 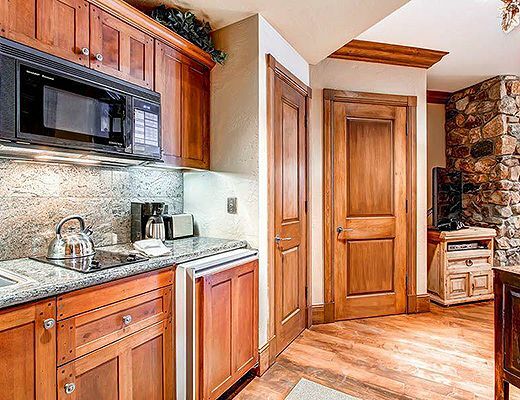 The efficiency kitchen features a mini refrigerator, two burner stove top and microwave. 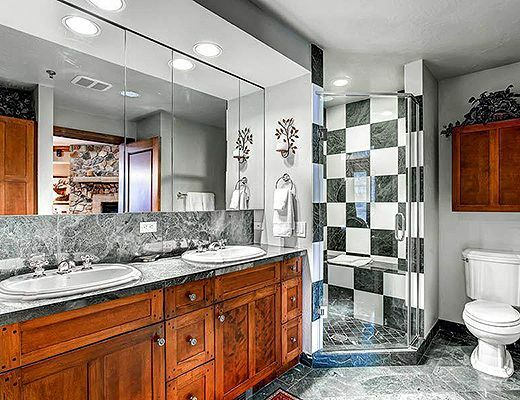 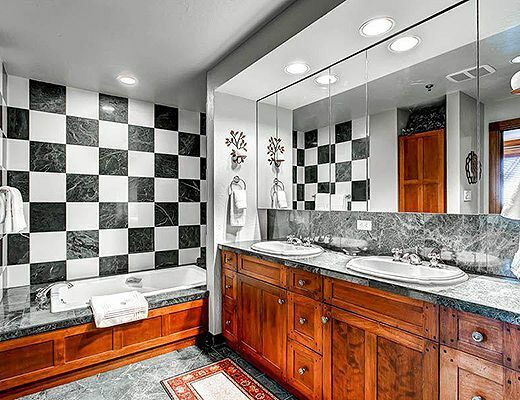 A spacious bathroom with separate shower and jetted soaking tub is the spot to relax after a full day on the slopes. 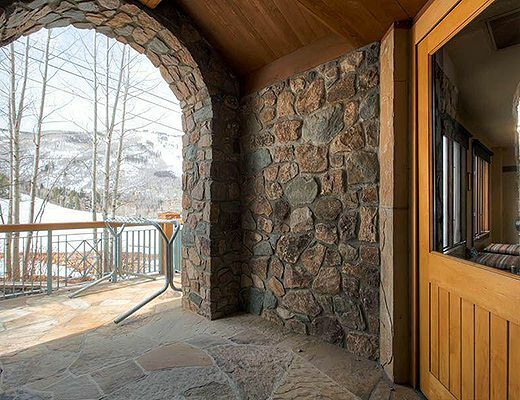 This home overlooks the entry area and Highlands Lane. 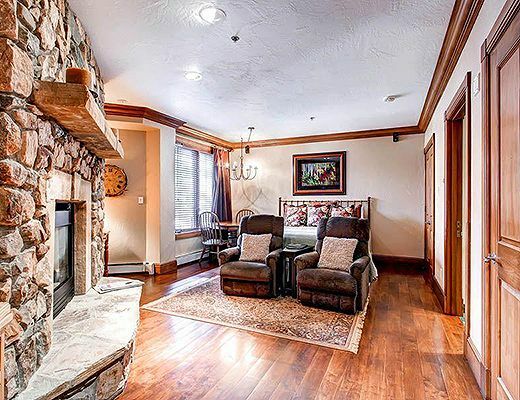 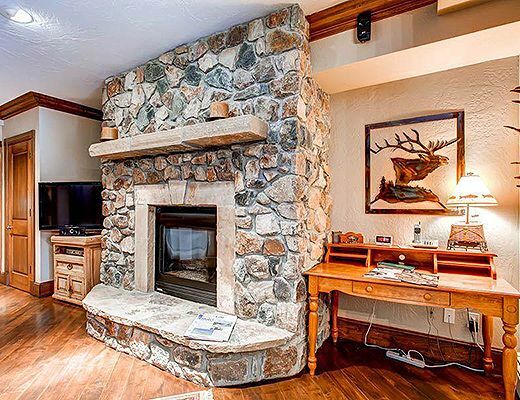 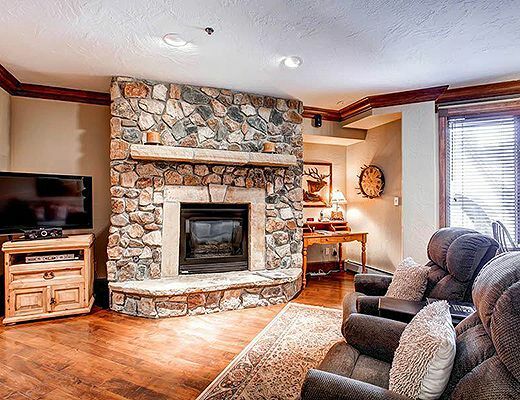 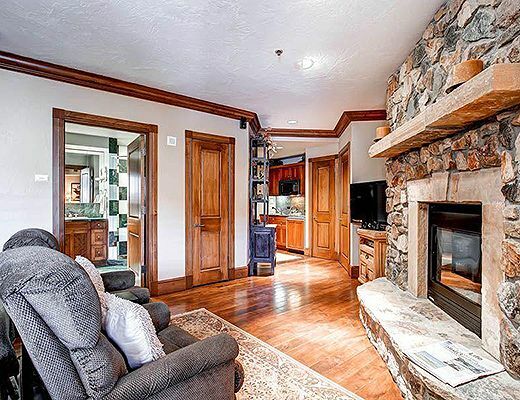 Though it lacks mountain views, it is the perfect place for a couple or a small family to enjoy Beaver Creek Resort. 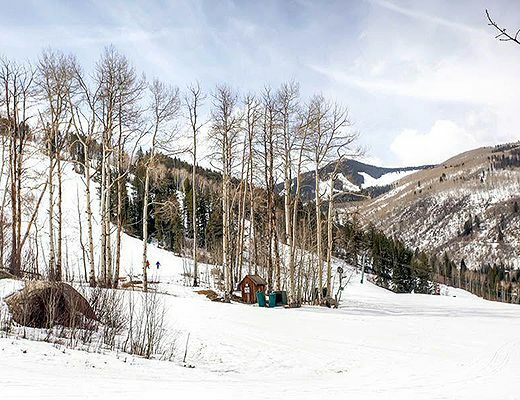 McCoy Peak guests enjoy year-round access to the hot tubs on the property's slopeside patio, the outdoor pool and hot tubs at the Highlands Lodge, the outdoor pool, hot tubs and fitness center at The Club at Allegria Spa at the Park Hyatt. 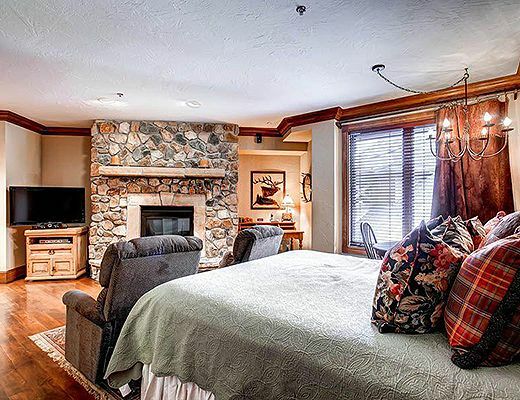 McCoy Peak Lodge #201 sleeps two adults and up to two children on sleeping cots provided in the home.